It's time for four-down Friday. Here are four things to look for when Yale returns home to the Yale Bowl to host Columbia at 12:30 p.m.
Roberts response: Yale needs QB Morgan Roberts to get things together. He threw three INTs in the red zone (two in the end zone) last week had has eight INTs over the last three games. It's not all his fault though, as Roberts has not had a healthy group of WRs to throw to all season. Perhaps a game at the Bowl is what Roberts needs to get back on track. Devastating defense: Columbia's defense is tough. The Lions are talented, experienced and playing well. Last week they did an impressive job against a electric Dartmouth offense in a 13-9 loss to the Big Green. Niko Padilla highlights the unit and is one of the best DLs in the league. This could be a tough matchup for an injury-riddled Yale offense. Don't get burned: Yale secondary has gotten beat on one big play after another this year, including several last week against Penn. Columbia has Skyler Mornhinweg, a talented QB transfer from Florida, under center. Mornhinweg can throw the deep ball and has WRs that can stretch the field. A new look: Yale has won 11 of the last 12 against the Lions. But this Columbia team is no longer the league doormat. Legendary Ivy League coach Al Bagnoli is now leading Columbia. The Lions are having fun and have a newfound energy. Columbia's defense is very good. The Lions snapped a 24-game losing streak earlier this year and held their own against Dartmouth. Columbia may still be a few years away, but this is a program on the upswing. Expect Saturday's game to be a close, low-scoring contest. Yale returns home to the Yale Bowl to host Columbia on Saturday at 12:30 p.m.. What's your predicted score for the game? So Yale is likely out of Ivy League title contention with its loss to Penn on Friday night. The Bulldogs have been crushed by injuries and that has been tough to overcome. Here are some more notes off of Tuesday’s weekly luncheon. Third-string RB Austin Reuland got an opportunity against Penn and made the most of it. Stepping in for Deshawn Salter who left the game with an injury, Reuland rushed 12 times for 61 yards and his first career TD. Reuland, a senior who played mostly on special teams last season, is a WR converted RB. It’s worth noting, he has two brothers that played at Stanford for Jim Harbaugh, one, Konrad, who is now playing for the Baltimore Ravens. Reuland may be the main back against Columbia if Salter isn’t healthy. Also, look for Jamal Locke to get some touches. Of the 12 players on Yale’s roster that are out for the remainder of the season, the most notable are DB Foye Oluokun, TE Sebastian Little and RB Candler Rich. Oluokun and Rich are expected to apply for a medical hardship waiver and get an additional year of eligibility. Junior Victor Egu is thriving in his new role as ILB. Egu, one of the most highly touted recruits coming into the Ivy League in years as a freshman, bounced around from DL to LB last season. He is playing strictly LB now and loves it. Egu has 40 tackles, three sacks, one forced fumble and one INT. He missed one game this season because of injury. After missing three games with an injury, junior WR Robert Clemons caught six passes for 99 yards and a TD against the Quakers. Clemons return is critical with Bo Hines suffering another injury in his return on Friday and WR Mike Siragusa still out. Last week: Dartmouth avoided a scare last week, holding off the Lions for a 13-9 win. But Columbia held its own against the Big Green and one of the top offenses in the nation. The Lions defense held Dartmouth to 325 yards of total offense and registered six sacks. QB Skyler Mornhinweg threw a 2-yard TD for Columbia's only TD. Top players: QB Skyler Mornhinweg (143 ypg, two TDs), RB Cam Molina (57.2 ypg, three TDs), LB Keith Brady (31 tackles, 4.5 TFL), DL Hunter Little (19 tackles, 5.5 TFL, four sacks). Penn junior quarterback Alek Torgersen (Huntington Beach, Calif.) threw for a career-high 350 yards and career-best four touchdowns to lead the Quakers out of an early 10-point deficit and into a 34-20 victory over Yale. Torgersen shined under the bright lights as he completed 25-of-35 passes, averaging 14.0 yards per completion, and also rushed for 47 yards for 397 total yards of offense. His four touchdowns went for 63, 17, 27 and 1 yard out with two of them being go-ahead scores. 25-35-0, 350 yds., 4 TDs, 47 rush yds. Penn senior linebacker Tyler Drake (Plantation, Fla.) had a defensive trifecta with a sack, interception and forced fumble to lead the Quakers to a win over Yale. Drake also had six tackles, but made consecutive game-changing plays in just 41 seconds to help Penn turn a 10-0 deficit into a 14-10 lead on national television. First, he hauled in an interception which led to an eventual long touchdown pass for the Quakers. Three plays later, Drake caused a fumble on a sack and the Quakers took advantage of the turnover with a touchdown just two plays later. Dartmouth junior wide punter Ben Kepley (Charlotte, N.C.) played a huge role in keeping the Big Green undefeated in a 13-9 win over Columbia. In a game that hinged on field position, Kepley was called upon a career-high 11 times to boot the ball, averaging 38.5 yards per punt, while dropping four inside the 20-yard line. His first three punts all came from his own end zone, two of which he launched 50 or more yards with a total of seven yards on the three kicks. Of his 11 punts (one shy of the school record), seven were high enough to warrant a fair catch and only one was returned at all. Penn freshman wide receiver Christian Pearson (Northridge, Calif.) hauled in a game-high six catches for a career-high 133 yards and two touchdowns in Penn’s victory over Yale. Pearson’s first catch changed the momentum of the game -- a 63-yard touchdown that pulled the Quakers within 10-7 in the second quarter. His second catch was the eventual game-winner -- a 27-yard touchdown grab for a 27-13 lead en route to Penn’s first back-to-back wins since 2013. All but one of his receptions went for at least 11 yards. 29-40-0, 437 yds, 2 TDs, 10 rush yds. 22 car. for 56 yds., 7 rec. for 36 yds. 25 car. for 112 yds., 4 TDs, 14 rec. yds. Yale heads to Penn to play under the lights at Franklin Field on Friday night. What's your predicted score for the game? Penn’s offense has been explosive. The Quakers have score 87 points over their last two games and also put up 20 points against a very good Dartmouth defense, which is the most the Big Green have given up this season. The Quakers attack sideline to sideline. QB Alek Torgersen has been picking apart opposing defenses. He has a strong group of WRs led by Justin Watson. Penn also has a pair of talented RBs in Brian Schoenauer and Tre Solomon who will both get carries and give the offense balance. Keep in mind, this is a team that handed nationally ranked Villanova a loss. Defensively, Penn has one of the tougher defensive fronts Yale will see this season. Keep an eye on senior LB Tyler Drake, who has been a force for the Quakers this season. Drake is the younger brother of former Yale DL Dylan Drake. The younger Drake leads the Ivy in tackles (44), sacks (5.5) and is tied for first in forced fumbles (2). His brother will be on the Yale sideline on Friday night. In case you missed it, the Indianapolis Colts recently signed veteran RB Ahmad Bradshaw and placed Tyler Varga on IR. He will miss the remainder of the season. Varga suffered a concussion late in a game on an onside kick against the Titans on Sept. 27. Varga made the Colts roster after signing as an undrafted free agent. The Yale-Columbia game at the Yale Bowl on Oct. 31 has been changed from a 1 p.m. kickoff to a 12:30 p.m. start time. Yale’s defense came through against Maine on Saturday. The Bulldogs hope to keep that momentum going against a strong Penn offense on Friday. Also, if you missed it, check out Leo Haenni’s amazing one-handed grab against the Black Bears. Tony Reno said Saturday’s win over Maine was the most complete game Yale played this season in all three faces. The Bulldogs showed the ability to finish against a really good team in a hostile environment. “The growth from week four to week five was the largest all season, one of the biggest we’ve had in the last three years,” Reno said. Stepping in for injured LB Victor Egu, senior Aaron Ault got his first start and did a solid job. Ault, who has played mostly on special teams, finished with seven tackles. North Carolina State transfer Bo Hines said he hopes to return against Penn, according to the Yale Daily News. Hines hasn’t played since the season opener. It would be a much-needed addition for the injury-riddled Bulldogs. Last week: Penn scored the game's final 35 points as the Quakers coasted to a 42-7 win over Columbia. The Lions are coached by former Penn coach Al Bagnoli. Penn's 19th straight win over Columbia is the fifth longest in FCS history over an annual opponent. It was Penn's largest win since 2010. WR Christian Pearson had 10 catches for 126 yards and a TD. Alek Torgersen was 19-of-29 for 270 yards and three scores. Defensively, Penn forced four turnovers and had five sacks. Top players: QB Alek Torgersen (208 ypg, seven TDs), RB Brian Schoenauer (66 ypg, four TDs), WR Justin Watson (91.2 ypg, five TDs), LB Tyler Drake (44 tackles, 6.5 TFL, 5.5 sacks, 2 forced fumbles, 1 INT). Yale sophomore tailback Deshawn Salter (Syracuse, N.Y.) proved to be the Bulldogs' offensive centerpiece in a 21-10 victory at Maine. In poor weather conditions, Salter sparked a second-half surge in the win, totalling 37 carries for 139 yards and two touchdowns as Yale outscored Maine 18-3 in the final 30 minutes in the game. He came through big on several occasions with huge, third-down conversions. Salter’s touchdown runs were a one-yarder in the third quarter and a 17-yard scamper in the fourth quarter. Brown senior linebacker William Twyman (Sudbury, Mass.) paced a strong defensive effort in the Bears’ 38-31 win over Princeton. Twyman led the way with 10 tackles, including four solo hits. Playing with his right arm in a cast, he snagged an interception at the Princeton 42-yard line with 1:57 remaining and the game tied at 31-31. That play set up the game-winning touchdown. Twyman also broke up a pass. Brown junior wide receiver Alexander Jette (North Attleboro, Mass.) stunned the crowd on the first play of the game in the Bears' win over Princeton. Jette took the opening kickoff 99 yards for a touchdown for the fourth longest kickoff return in Brown history and tied for 13th longest kickoff return in Ivy League history. It was the longest return for a Brown player in 110 years. Jette added a punt return for 33 yards and 93 yards receiving on eight catches. On the day, he totaled 225 all-purpose yards. 99 KOR yds., 33 PR yds., 8 rec. for 93 yds. Penn freshman wide receiver Christian Pearson (Northridge, Calif.) posted a career day in the Quakers' 42-7 victory at Columbia. Pearson pulled in career highs in receptions (10) and receiving yards (126) to go along with the go-ahead touchdown. His 10 receptions set a school record for a freshman. Six of his catches went for more than 10 yards and seven of his 10 receptions went for a first down. Pearson nearly had two other touchdowns but was tackled at the three-yard line each time -- an 11-yard reception set up a touchdown with less than 30 seconds left in the first half and a career-long 38-yard catch set up another touchdown in the third quarter. 8 rec. for 115 yds., 1 TD, 9 car. for 61 yds., 10 pass yds. 19-29-0, 296 yds., 3 TDs, 6 car. for 30 yds. 23-33-1, 249 yds., 3 TDs, 10 car. for 60 yds. It's time for four-down Friday. Here are four things to look for when Yale travels north to face Maine on Saturday at 3:30 p.m.
Short-handed again: Yale will be without WR Bo Hines for a fourth straight game. It's unclear WRs Robert Clemons and Myles Gaines will be ready to go after missing last week's loss at Dartmouth. It's been tough for QB Morgan Roberts to get his timing down and build chemistry with his receivers because of injury. If all are out again, look for Mike Siragusa and Chris Williams-Lopez to get the majority of the passing targets. Hot start: Maine has wasted no time moving the ball this season. The Black Bears have scored 53 of their 91 points in the opening quarter and have scored at least a TD in first in four of their five games. Last week, Maine jumped out to a 20-0 lead in the opening quarter against Albany. Secondary help: DB Foye Oluokun will miss the remainder of the season with an injury and that's a huge loss for the Bulldogs secondary. The junior free safety had eight tackles in two games and blocked two kicks. Oluokun missed last week's game against Dartmouth and it showed, as Dalyn Williams and the Big Green pass game lit up the Bulldogs for 35 points. The Bulldogs will need to find a way to fill that void in order to slow opposing offenses. Bounce back: Yale put up its worst offensive showing last week since being shutout by Brown in 2012. Deshawn Salter couldn't find any running room, Morgan Roberts and the passing game struggled and Yale finished with just 276 yards of total offense. Sure injuries hindered the offense and Dartmouth's defense was very good, but the Bulldogs need to get the bite back in their high-powered offense against the Black Bears. Tony Reno says Maine will be one of the best, if not the best, team Yale will face this season. The Black Bears are very experienced with a ton of speed along the perimeter both at DB and WR. Maine has a pair of versatile QBs in Dan Belcher and Drew Collins, and a big, athletic OL. RB Nigel Beckford is a talented back and a Bridgeport native. Reno says Maine has a complete offense. 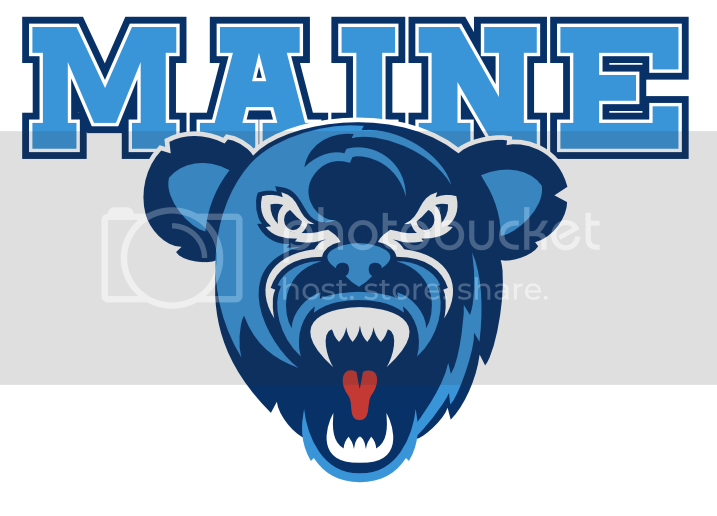 Defensively, Maine has enough threats up front where it can get to the QB, but the Black Bears will bring pressure. Playing at Maine on Saturday will be the most northern place Yale has played. The previous was Madison, Wisconsin, in the 1940s. Yale DL coach Jordan Stevens, DC Steve Vashel, OC Kevin Cahill and Bulldogs director of football operations Chris Gennaro have all either coached or played at Maine. Yale has faced Maine, William & Mary, New Hampshire and Villanova. Yale was set to play Townson in 2001, but the game was canceled because of the 9/11 attacks. Former Yale FB Bill Primps gave the Bulldogs some words of encouragement at Tuesday’s media luncheon. Yale did not go for it on fourth and short a few times in its 35-3 loss to Dartmouth. Tony Reno was hoping to pin them and get good field possession in return. He said Dartmouth was kicking into the wind and he didn’t want to give the Big Green the ball with a short field. QB Morgan Roberts said though the offense struggled on third down (3 of 21), Yale came up just short and trusted its defense instead of going for it on fourth. Bryan Holmes has been handling all the facets of the kicking game. He’s the first Yale player to do so since Tom Mante in 2008. Holmes is 5-for-7 on FGs, boasts a 40.0 punting average and has seven touchbacks on kickoffs. Holmes is on a “kick count,” only kicking during practice on Tuesdays and Fridays. He does “dry kicks” on the air and whistle drills on other days. The Ivy League has three teams (Harvard, Dartmouth and Princeton) that are 4-0 for the first time since 1968. A Denver Broncos scout was at Yale’s practice on Tuesday taking a look at Roberts. With a handful of injuries to Yale’s WRs, Chris Williams-Lopez stepped in and took advantage of his opportunity on Saturday. After missing the first three games with an injury, Williams-Lopez made his varsity debut and caught seven passes for 30 yards. Last week: QB Dan Collins completed 21-of-28 passes for 208 yards and a touchdown in a 39-7 win over Albany. He also rushed for a score. Maine took a 20-0 lead in the opening quarter. WR Micah Wright had five catches for 105 yards and a TD. The Black Bears defense had five sacks and a pair of INTs. Top players: QB Dan Collins (145 ypg, 2 TDs), RB Nigel Beckford (74.7 ypg, 1 TD), WR Micah Wright (82.2 ypg, 2 TDs), DE Trevor Bates (25 tackles, 3 sacks), LB Randy Samuels (24 tackles, two sacks, one INT). Dartmouth senior quarterback Dalyn Williams (Corinth, Texas) had a game to remember on homecoming weekend, setting the school record for passing yards in a game (435) as the Big Green dominated Yale in a 35-3 triumph. Williams completed 29-of-53 throws and connected on four scoring strikes for a second-straight week. His first three touchdown tosses came in the first half. Then he capped his day with a 36-yard throw for the final points of the day to give him his first career 400-yard game and break the record held by former NFL quarterback Jay Fiedler. Williams had nine completions of at least 20 yards and five of at least 30. He is also the first Dartmouth quarterback with three consecutive 300-yard games to his credit. 29-53-0, 435 yds., 4 TDs, 7 car. for 18 yds. Dartmouth senior free safety David Caldwell (Charlotte, N.C.) looked as if his day would end early when he was helped from the field during early in the first half of the Big Green's win over Yale. Caldwell was tended to on the sideline and returned with a vengeance, finishing the day tying for the team lead with seven tackles while picking off two passes and breaking up three more. His first big play of the day came in the second quarter with Dartmouth leading 14-0 and Yale in Big Green territory as he tackled a receiver two yards shy of the first down on a 4th-and-4 play. In the third quarter, Caldwell broke up a pair of passes and he capped his day with two interceptions in the red zone in the fourth quarter -- the second at the two-yard line -- to prevent Yale from scoring a touchdown all day. He is the first Dartmouth player with two interceptions in a game in two years. Brown senior placekicker Grant Senne (Winter Park, Fla.) kicked three field goals, including the game-winning, 35-yard boot with 2:06 remaining, to lift the Bears to a 25-24 over Holy Cross. Senne also connected on field goals of 20 and 28 yards. He punted four times for a 38.8 yards per punt average, pinning two punts inside the 20-yard line, including one at the eight-yard line. Princeton freshman running back Charles Volker (Fair Haven, N.J.) scored his first collegiate touchdown on a 62-yard run in the fourth quarter of the Tigers' 44-20 win over Colgate. Volker was one of four freshmen to catch at least one pass in the win. 4 car. for 64 yds., 1 TD, 20 rec. yds. 16 rec. for 216 yds. 49 rush yds., 4 TDs, 38 rec. yds., 17 pass yds. 78 KR yds., 46 rec. yds., 39 PR yds. 12 rec. for 132 yds. It's time for four-down Friday. Here are four things to look for when Yale travels to face Dartmouth on Saturday at 1:30 p.m. in a matchup of two 3-0 teams. Pressure: It’s no secret. Dalyn Williams is a very good quarterback. He has picked apart opposing defenses all season with both his arm and legs. If Yale can get good push up front, pressure Williams and make him get rid of the ball quickly, the Bulldogs could slow that offense. Yale sacked Williams seven times and forced an interception last year. Tough test: Yale’s secondary will be challenged with two talented wide receivers in Victor Williams and Ryan McManus. Williams is a speedy receiver who stretches the field. McManus, who missed the last two games with an ankle injury, is expected back. He is a strong, physical receiver. Expect Dale Harris to match up with Williams and Rymiszewski to match up with McManus. Run game: It’s uncertain who will be Yale’s main ball carrier on Saturday. If Candler Rich still can’t go, Deshawn Salter will get plenty of work. Don’t expect another 233 yards on the ground from the sophomore, but establishing the run game and getting balance will be key. History: Dartmouth has had Yale’s number in recent years, winning the last three meetings. This is perhaps a must-win game for the Bulldogs if they are going to have a chance at their first Ivy title since 2006. First, check out a feature on RB Deshawn Salter coming off an impressive performance in his first start in Yale’s win over Lehigh. Led by QB Dalyn Williams, the Big Green’s offense is averaging over 40 ppg. Williams is likely the best QB in the Ivy League. He is averaging 262.3 passing yards per game and 50 rushing yards per game with a combined 10 TDs. Ryan McManus, one of the top WRs in the league, missed the last two games with an ankle injury. He’s expected to play against Yale. He’s a physical receiver. On the other side, Victor Williams is a speedy playmaker who can stretch the field. He caught 12 passes for 213 yards and two TDs in a 41-20 win over Penn last week. Dartmouth (3-0) came from behind to beat Yale in the final minutes last season. The Bulldogs defense did sack Williams seven times in that game. Yale will need to pressure the star QB plenty on Saturday. Dartmouth’s defense is allowing just 77.3 rushing yards per game and has given up just 37 points over its three games. Junior DT Jack Rushin became the 32nd donor from the Mandi Schwartz Marrow Drive. Rushin donated marrow to a recipient at Boston Hospital on Monday. The drive takes place each spring on the Yale campus and honors former Yale women’s hockey player Mandi Schwartz. Tyler Varga suffered a concussion late in the game on an onside kick against the Titans on Sept. 27. He missed last week’s game and is expected to miss Thursday’s game against the Texans. Yale improved to 3-0 with a 27-12 win over Lehigh on Saturday. LB Matt Oplinger had two sacks against Lehigh. Yale has 49 penalties through its first three games. Yale has been able to overcome that issue so far, but when playing teams like Dartmouth, that margin for error is much smaller. QB Morgan Roberts has completed passes to at least seven different players in each of his first three game. Yale fell 24-6 to Brown on Saturday at Clint Frank Field. Some players that played well were QB Tre Moore, TE John Lager, along with DEs Ian Baker and Bronson Krull. I will try and get some more info on this. The 12 points Yale gave up to Lehigh were the fewest the Bulldogs allowed in a non-league road game since a 24-10 win over Cal-Poly in 2013. Last week: QB Dalyn Williams has been tough to stop. He set a school record by completing 92 percent of his passes in a 41-20 win over Penn last week. Williams completed 23-of-25 passes for 336 yards and four TDs. He also ran for 73 yards and two more scores. It was Dartmouth's first win at Penn since 1997. WR Victor Williams caught 12 passes for 213 yards and two TDs. Dartmouth's offense produced 506 yards and held Penn to 263. The Big Green scored on each of their first four possessions. Dartmouth senior quarterback Dalyn Williams (Corinth, Texas) started off the Ivy League slate in record-breaking fashion in the Big Green's 41-20 win at Penn, completing 92 percent of his passes (23-of-25) to top a school mark that had stood for 53 years. Williams threw for 336 yards and four touchdowns, the latter matching a personal best. He also ran the ball 13 times for 73 yards and Dartmouth's other two scores. Each of Williams' touchdown tosses came from further out, starting with eight yards, then 22, 30 and finally 43. His 409 total yards mark the third time he has topped 400 yards in a game, as many as all other players in school history. Yale sophomore tailback Deshawn Salter (Constantia, N.Y.) shined in his debut as the Bulldogs' starter in the backfield with a record performance in a 27-12 victory at Lehigh. With help from an outstanding push from the offensive line, Salter rambled, juked, sprinted, dove and plowed his way to 233 yards and two touchdowns. He averaged eight yards per attempt, registering the fifth-best day for a Yale running back while scoring from two and 42 yards. The later was the back breaker that put the game away late in the third quarter. 29 car. for 233 yds., 2 TDs, 3 rec. for 28 yds. Yale sophomore linebacker Matthew Oplinger (Summit, N.J.) led the Bulldogs' defensive attack with 11 solo tackles and a pair of ferocious sacks in the road win at Lehigh. Oplinger also knocked down a pass and tried to run for a two-point conversion. He guided a Yale defensive unit that blanked Lehigh in the first half and registered four sacks and racked up six tackles for lost yardage. Oplinger helped the Bulldogs to their best non-conference road defensive effort since beating Cal Poly in 2013. Columbia senior linebacker Max Keefe (Shalimar, Fla.) got the Lions to within a touchdown of Princeton in the third quarter with a punt block that resulted in a safety in the 10-5 setback to the Tigers. Keefe got his hand on the punt, sending it into the end zone for two points for Columbia. He also tallied three tackles, with two of those coming on defense and one on special teams. Harvard freshman running back Noah Reimers (Leesburg, Va.) rushed for three touchdowns in the Crimson's 45-0 win over Georgetown in just his third collegiate game. Reimers carried the ball 15 times for 64 yards with scoring runs of scores of 2, 1 and 1 yards, respectively. His leap over a defender on a third-quarter run was the No. 5 play on ESPN SportsCenter's Top 10 Plays of the Day on Oct. 3. He became the first Harvard running back with three rushing touchdowns in a game since Clifton Dawson had four touchdowns against Lafayette on Oct. 18, 2003. 15 car. for 64 yds., 3 TDs, 12 rec. yds..
41-58-0, 438 yds., 4 TDs, 5 rush yds. 27 car. for 106 yds., 34 rec. yds. 15 car. for 113 yds., 2 TDs, 4 rec. yds. 15 rec. for 135 yds. It's time for four-down Friday. Here are four things to look for when Yale travels to face Lehigh on Saturday at 12:30 p.m. Ground attack: Yale will only get by for so long without a solid rushing attack. The Bulldogs are averaging just 90 yards per game and 2.7 yards per carry. This OL hasn't had much experience playing together, so it should improve. Look for Deshawn Salter to take over as the main ball carrier if Candler Rich can't go. Regardless who is in the backfield, Yale needs to establish some balance offensively. Busy Saturday for Goose: With Yale's talented group of WRs taking a hit from injuries, look for Mike Siragusa to get plenty of targets against Lehigh. He had a team-high seven receptions for 82 yards and two TDs in the season opener. Expect similar numbers against Lehigh. Weather factor: Heavy rain and wind are expected in Bethlehem, Pennsylvania on Saturday. That should make for a messy grass field at Goodman Stadium. Yale has been practicing with wet footballs throughout the week to prepare. Tough matchup: Look out for Lehigh WR Troy Pelletier. He's got 25 receptions for 267 yards and three TDs over his last two games against Ivy League opponents in Penn and Princeton. Tony Reno says he's gotten bigger and stronger. He had five catches for 113 yards and a TD against the Bulldogs last season. NEW HAVEN >> More times than not growing up, a teacher would ask a question during class and Sebastian Little would raise his hand and be ready to respond with the correct answer. And when he did, his classmates joked. Read the rest of the story about Little here.